Victoria H. Smith: The Space Between is FREE! Hey everyone! A couple quick announcements The first: The Space Between is FREE today and tomorrow on Amazon for the holiday. Hope you all get yourself a copy. 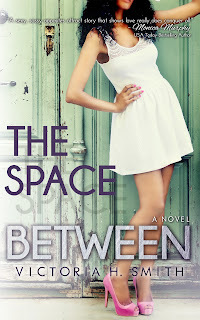 Second: Nook Readers: The Space Between should finally be on sale at BN.com Saturday. So sorry for the delay. I'll stop by the blog again with links for you. Third: NA Alley is hosting the first ever NA Crush Tourney! We're all very excited about this and hope you will all come out and hype your favorite NA book boys. And if you want to add my Korean cutie pie Drake from The Space Between or my sci-fi man Luca The Crimson Hunt I'm sure they wouldn't protest! Hearts you all and have a good week! Always great to learn about a new potential summer read.. thanks! Tournament sounds like a great idea. Best of luck with your free promo.